Gagemaker have introduced the MRP® AIR Crest Diameter Carbon Fibre Gauge, which is stronger, lighter and more accurate than ever, all of this is completed with no damaging rails locking them into place. All of the MRP series of Pitch diameter gauges measures internal and external pitch diameters of tapered threaded connectors. The gauges use two pivoting thread shoes that rest on the crests of the threads. Variation in diameter is detected by the indicator readout. The MRP gauges are preset to size before inspecting parts. A variety of setting standards are available. Alternatively the MIC TRAC setting system can be used. 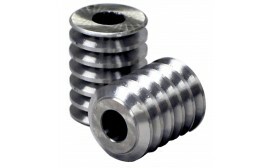 These thread rolls inspect the functional fit of parts with 7° x 45° buttress thread forms. Specify the pitch of thread when ordering. All thread rolls are sold in matched pairs which come complete with Gagemaker Certificate. 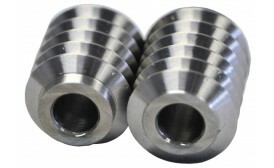 These thread rolls inspect the functional fit of machined parts with 60° "V" thread forms. Gagemaker's TDWIN TAPER software program produces dimensional drawings and inspection data for API downhole tubular connectors based on the most current industry standards. Everything you need to machine, inspect, and document tubular connection threads is available in this convenient software program. 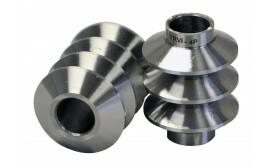 TDWIN TAPER provides easy access to information for both preferred and non-preferred Rotary Shouldered Connections, Tubing and Casing Connections, and any combination of Crossover. 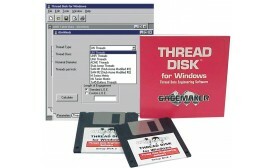 The program offers standard connection types and sizes. TDWIN TAPER displays connection drawings, inspection gauge information and setup and inspection reports. The software displays printable drawings suitable for manufacturing that follow ASME Y14.5 standards for industry compatibility. 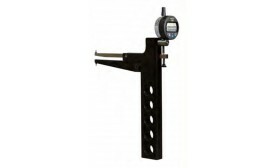 Print gauge setup and inspection reports with your company logo and work order information. The program also offers the choice to save reports and jobs for future reference. 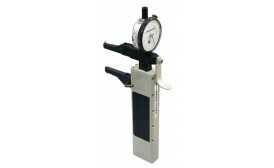 The Gagemaker MIC TRAC is a multi-use gauge setting system. 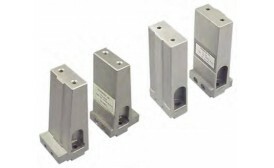 The system sets or zeros most gauges with the use of interchangeable anvils or blocks. Standard resolution of base unit is 0.00005". Accuracies range from +/- 0.0001" to +/- 0.0004". 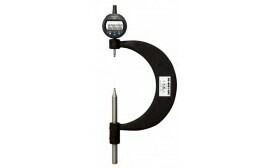 The MIC TRAC is also available as a multi-use gauge calibration system. These MIC TRACs incorporate the ForeLok™ feature to provide a constant anvil force that improves repeatability from operator to operator. Please ask the Bowers sales team for details. 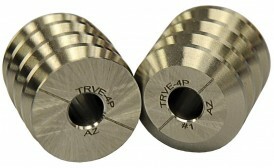 TRM thread rolls inspect the functional fit of machine threaded parts with ISO metric 60° "V" thread forms. TRM thread rolls inspect the functional fit of machine threaded parts with ISO metric 60° "V" threadforms. 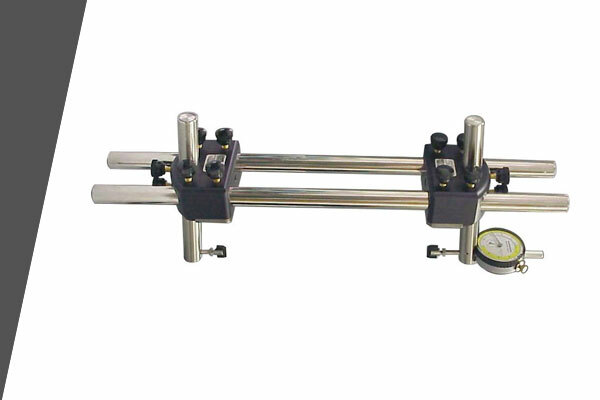 The Gagemaker MIC TRAC is a multi-use gauge setting system. 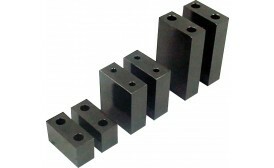 The system sets or zeros most gauges with the use of interchangeable anvils or blocks. Standard resolution of base unit is 0.00005". Accuracies range from +/- 0.0001" to +/- 0.0004" depending on the machine capacity. 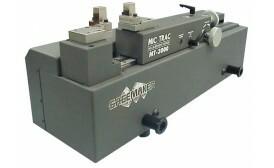 The MIC TRAC is also available as a multi-use gauge calibration system. These MIC TRACs incorporate the ForceLok™ feature to provide a constant anvil force that improves repeatability from operator to operator. Please ask the Bowers sales team for details. The Gagemaker PD-6000 and PD-8000 Series gauges measure Pitch Diameters of internal, and external threads. The gauges can be preset to a nominal predetermined dimension using gauge blocks, micrometers, or the MIC TRAC gauge setting system.